At the Law Offices of Jeffrey S. Glassman, our CoaguChek XS PT Test Strip recall lawyers in Boston can help you with your dangerous drug case. 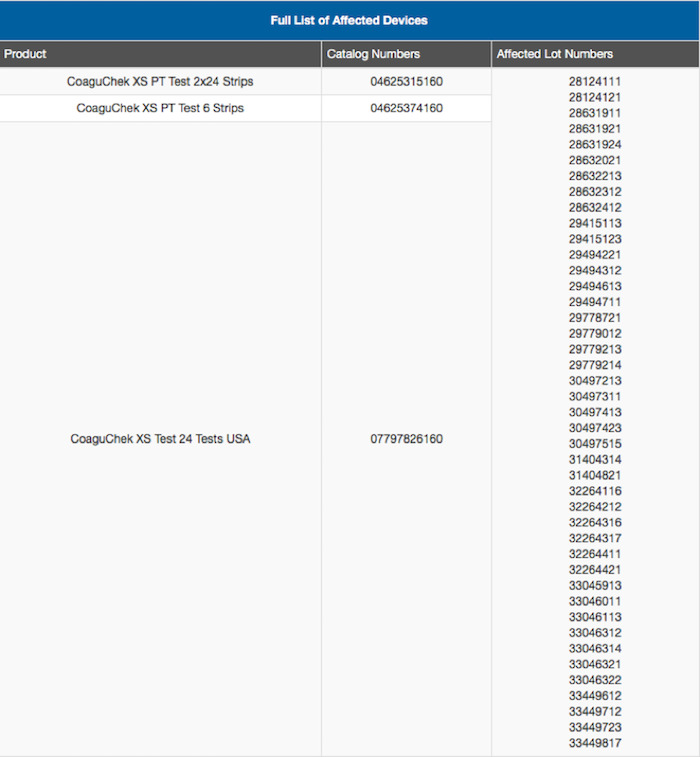 What is the CoaguChek XS PT Test Strip Recall About? Roche Diagnostics recently admitted that their in-home test strips that were re-calibrated in January 2018 provided inaccurate results when compared to laboratory testing. Subsequently, these test strips indicated abnormally high or inaccurate test results. The major issue corresponding to these inaccuracies is that the test strips are used to monitor a patient’s Warfarin dosage. Warfarin is often prescribed to patients to treat irregular heartbeat, blood clots in the lungs or legs, or patients with implanted medical devices. The essential goal of Warfarin treatment is to reduce the chance of excessive blood clotting and the resulting complications such as stroke. Patients taking Warfarin must have their blood levels regularly monitored to ensure that they are receiving the appropriate dosage of Warfarin. Widely used, these faulty strips can lead to serious errors when prescribing or adjusting a patient’s Warfarin dosage. If a patient receives too high a dose it will increase a patient’s risk of excessive bleeding and if the dosage is too low it can lead to an increased risk of blood clotting and stroke. As a result, Roche commenced a recall of the test strips. It is estimated that over 1.1 million packages of these strips were distributed between the dates of January 12, 2018 and October 29, 2018. The FDA quickly labeled the recall a Class I recall, the most serious and highest standard of recall, which identifies products that can cause serious harm or death. If a recalled LOT number is identified, the patient should contact their respective healthcare provider to receive information on when they will be receiving the corrected strips and how to continue their medication properly. What are these Test Strips? These test strips are used with Roche’s INR Meters where one end of the strip is inserted into the device and the other end contains a drop of the patients blood which is then analyzed through the machine to measure how long it takes blood to clot. The number the patient reads on the screen is known as their International Normalized Ratio” or “INR” number. This number indicates, when too small, that the blood may be clotting too quickly, and when too long, indicates that the patient may be at risk for excessive bleeding. What Injuries may be Associated with this Product? The FDA advises patients and doctors not to use or rely on these strips and to use alternative devices or laboratory results as guidance while this issue is sorted. However, although Roche initially volunteered to recall this product, the product itself remained on the market for a substantial period of time potentially effecting thousands of unsuspecting patients. If you or a loved one used the Roche CoaguChek XS PT test strip and received a faulty reading that led to injury, you may be eligible for compensation. While cases represent varying factors based on an individual’s circumstance, The Law Offices of Jeffrey S. Glassman is actively investigating these claims and will help you get the compensation you deserve. Please call 617-367-2900 to speak with the Law Offices of Jeffrey S. Glassman to see if we can assist you.